Coffee House Press, 9781566893473, 167pp. Elegant and brutal, the stories in Kate Bernheimer's latest collection occupy a heightened landscape, where the familiar cedes to the grotesque and nonsense just as often devolves into terror. These are fairy tales out of time, renewing classic stories we think we know, like one of Bernheimer's girls, whose hands of steel turn to flowers, leaving her beautiful but alone. Kate Bernheimer is the author of the short story collection Horse, Flower, Bird and the editor of My Mother She Killed Me, My Father He Ate Me: Forty New Fairy Tales and the journal Fairy Tale Review. 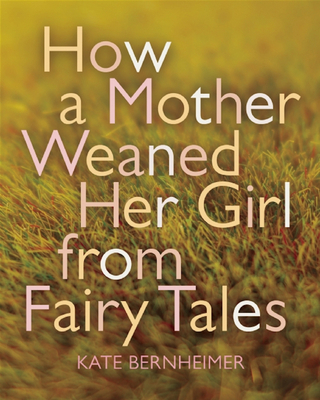 Kate Bernheimer: Kate Bernheimer has been called "one of the living masters of the fairy tale." She is the author of a novel trilogy and the story collections Horse, Flower, Bird and How a Mother Weaned Her Girl from Fairy Tales and the editor of four anthologies, including the World Fantasy Award winning and bestselling My Mother She Killed Me, My Father He Ate Me: Forty New Fairy Tales and xo Orpheus: 50 New Myths. She founded and edits the literary journal Fairy Tale Review and lives in Arizona with her husband, the writer Brent Hendricks, and their daughter, Xia.